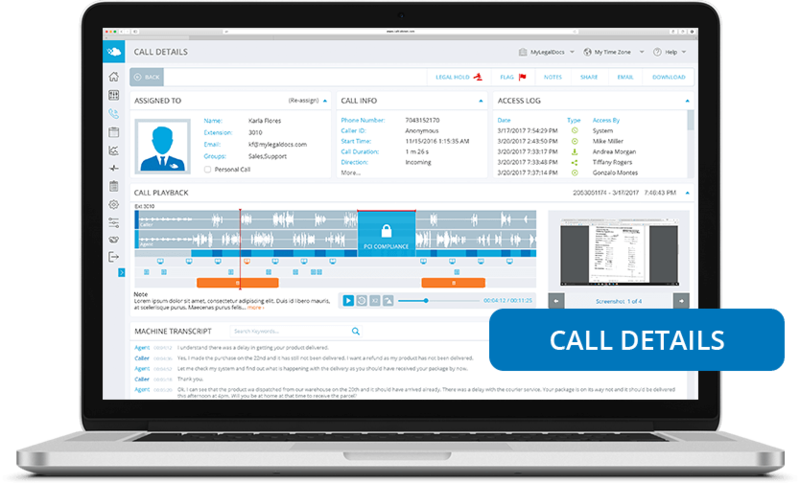 CallCabinet’s Atmos is an award-winning Call Recording as a Service (CRaaS) platform that utilizes Cloud technology to provide customer/agent audio and screen interaction analysis, eliminating the cost and burden of traditional on-site hardware systems. Unlimited Capacity, Storage and High Availability through many global data centers in our network. Atmos never experiences lag time. By offering Cloud processing in our network, Atmos can support customers as small as 2 users and as large as thousands of users in the same network. Monthly consumption based subscription, up to 90% more cost effective than traditional call recording systems. Whether you have a hosted telephone solution or on-premise, Atmos can be deployed quickly. Any phone in any role, on any hosted or telephone system. Atmos, backed by an encrypted, redundant network, meets compliance regulations and all local data sovereignty laws. Atmos leverages Azure security infrastructure, redundancy and a 256-Bit AES encryption method for GDPR, MIFID II, HIPAA and other compliance standards. Through Atmos Analytics, recorded calls and screens can be automated for Caller Sentiment, Content, Communication Method and many other key performance indicators, allowing your organization to better understand your customer experience. Through our self managing subscription plan, customers have full access to their storage plan and licensing. 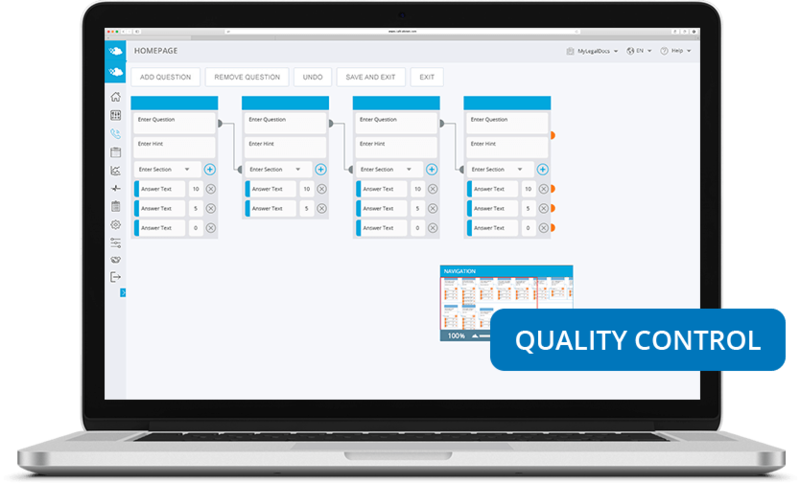 Advanced features such as Voice Analytics, Quality Assurance, PCI DSS masking, screen and fax capture can be added when needed. Our Atmos service resides in a high speed network of Microsoft Azure data centers, making it a true cloud technology, We leverage the native power of Azure to provide unlimited bandwidth and storage for our customers and partners to optimize their experience. Whether calls need to be recorded for staff training, dispute resolution, compliance or security reasons, Atmos provides complete flexibility, scalability without sacrificing affordability. 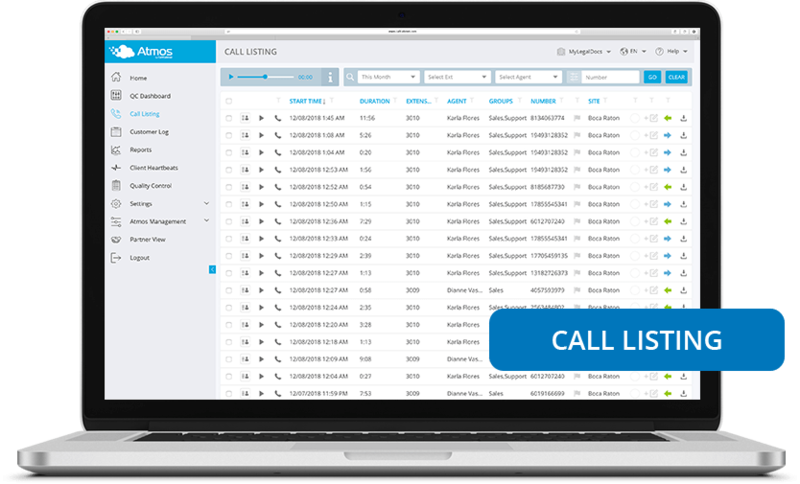 Explore the full feature set and how Atmos integrates seamlessly with any telephone system whether you’re using Microsoft Teams, Asterisk, Cisco, BroadSoft, etc. Take the next steps to see Atmos in action. Learn about the systems we integrate with. Interact with us at an upcoming event. Contact us for a product overview.